After spending the trade deadline waffling and coming out the other side without buying nor selling to any important degree, the Nationals have finally begun their fire sale. On Sunday, three Nationals players—Bryce Harper, Matt Adams, and Daniel Murphy—were claimed off waivers. Two, Adams and Murphy, were eventually traded to NL Central contenders. Today it was reported that Murphy got shipped off to the Cubs for a Single-A prospect and cash or a player to be named later, and Adams to the Cardinals for cash considerations. Harper was claimed by the Dodgers, but the two teams were unable to work out a deal before his waiver expired. All three players claimed are due to be free agents at season’s end. The Nats were among the National League pennant favorites before the season started, but a series of abysmal outings, internal strife, a lame-duck manager, and overall regressions by the vast majority of the team have left them 7.5 games out of the NL East, behind the Phillies and Braves, and 6.5 behind in the Wild Card. So they finally pulled the trigger, a few weeks too late. 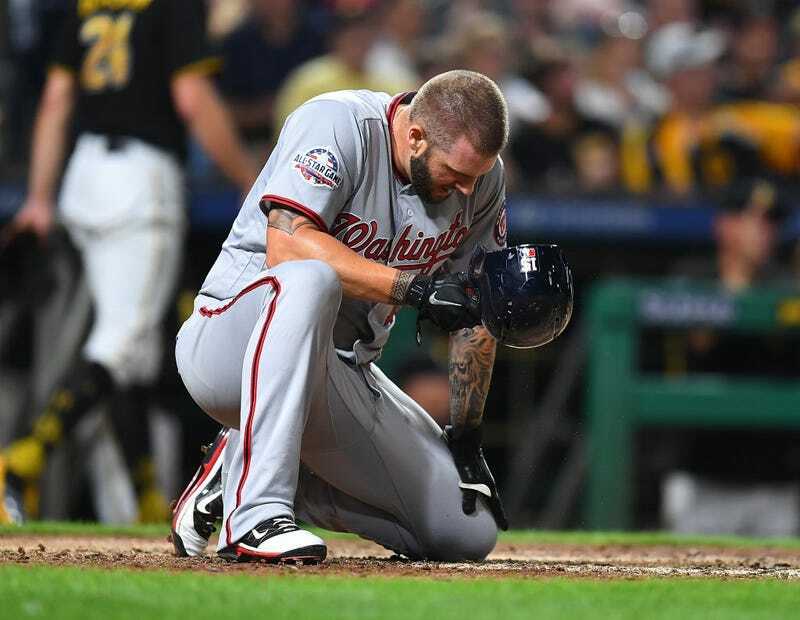 So long to this sad, sad iteration of Washington baseball, which has only two straight heart-breaking, five-game, NLDS losses to show for its once-ridiculous array of talent. D.C. sports, baby. At least you guys have the Capitals.